A supportive government, modern infrastructure and easily accessible patient population are helping this Asian nation become a top location for clinical trial research. South Korea, a country in Northeast Asia with a population of 49 million, has become a global clinical trial hub over the past decade. The Korean government has offered a variety of incentives to support the country’s biotechnology and clinical trial industries and as a result numerous multinational clinical research organisations (CROs), as well as pharmaceutical and medical device companies, have initiated trials and partnerships there. Korea’s pharmaceutical market will be valued at close to $20 billion by 2015 and its medical device market was worth about $3.5 billion in 2013. Healthcare and medical research quality standards are quickly approaching those found in the West and Japan. Furthermore, the country offers a prime geographical base for the Northeast Asian markets. Thus, Korea is a high-quality and cost effective option for clinical trial research in Asia. A local presence is required for successful clinical trials, in the form of an in-country office, a CRO or a regulatory consultant with local expertise. In-country knowledge of issues like site identification, hospital(s) or research centres that can run trials, knowledge of the types of studies possible, timelines, accessible patient pools and available infrastructure are all key criteria. Korea has one of the fastest study start-up times in Asia, with well-defined regulatory and review processes. The Korean Ministry of Food and Drug Safety (MFDS) is the main regulatory body for drugs, medical devices, food and cosmetic products. Clinical trials must be conducted in accordance with Korean Good Clinical Practice, implemented in 1995 and later revised in 2001 in line with the International Conference on Harmonisation (ICH) guidelines. To conduct a clinical trial in Korea, the sponsor must obtain institutional review board (IRB) approval. The MFDS provides pre-investigational new drug consultation services. The sponsor should submit a clinical trial application with the appropriate supporting documents, all of which should be translated into Korean. The IRB approval process can take one to two months. The Korean government has promoted biotechnology since the 1980s. One key component of this support is the strengthening industrial capacity, including clinical trials. The government has advocated Korea as the premier clinical trial location in Northeast Asia for almost a decade. It provides significant support to the clinical trial industry, in the form of grants for trial centres to build infrastructure and facilitate multi-site trials, tax breaks for R&D costs and increased training for investigators and clinical researchers. It set up the Korea National Enterprise for Clinical Trials in 2007 to advance standards, promote training and collaboration, forge industry partnerships and build an advanced clinical trial infrastructure. In 2011, the Korea Drug Development Fund (KDDF) was launched with a budget of $1 billion to help transform the country into a global leader for the development of new drugs. Streamlined regulations have helped it rank among the top 15 countries globally for the highest number of clinical trials. Based on the number of clinical trial sites per city, Seoul is among the top 10 cities worldwide. In 2012, the government approved 303 multinational studies and 367 domestic trials. ClinicalTrials.gov currently lists 428 active studies, with another 1,587 in the recruiting or pre-recruiting phases. Korea has a high quality, Western-style medical and scientific infrastructure for clinical research. Most trials are undertaken at leading hospitals with state-of-the-art facilities which are both highly professional and efficient. English proficiency is widespread, and many trial documents are written in English. Korea also has highly ranked biotech research institutes and high-tech medical clusters. The government has supported the construction of a network of clinical trial centres at 15 major regional medical centres across Korea and more than 164 investigational trial sites nationwide. The patient population can also benefit multinational clinical trials as it is increasingly Westernised, with a corresponding increase in rates of Western diseases like cancer, diabetes, cardiovascular diseases, obesity and age-related illnesses. With an almost 100 per cent literacy rate, the informed consent process is simplified, as is the single language translation requirement. Culturally, doctors and patients have a strong relationship, which helps with patient enrolment, retention and compliance during trials. Oncology trials account for approximately one third of the global trials conducted in Korea. Cardiovascular and anti-infective trials are also common. Korea is also ranked in the top five globally for stem cell research clinics. Almost all major international CROs and pharmaceutical companies are present in Korea as trial operators or sponsors. Korea National Enterprise for Clinical Trials (KoNECT) has established partnerships with multinational CROs, such as Quintiles and ICON, to improve clinical research standards, infrastructure, researcher expertise and trial capacity. Quintiles has been operating in South Korea since 2000, and the company says that its Korean office is one of their biggest in East Asia. ICON has been active in Korea since 2005 and is managing almost 100 protocols there. The KDDF has also established partnerships with multinational CROs, like WCCT Global, PAREXEL and Novotech. In June 2014, Celerion and the KDDF signed a memorandum of understanding giving KDDF-funded companies access to Celerion’s expertise in early clinical research, bioanalysis and external partnerships. Celerion’s president and CEO said that Korea would be a world leader in biomedical research and development by 2020. The Korean government is continuing to invest heavily in drug development. In July 2014, President Park Geun-Hye announced a series of government plans to build the biotechnology industry, including expanding the use of advanced stem cell research facilities, training additional biotech industry researchers and increasing the number of diseases that could be researched. Korea has shown a long-term commitment to becoming one of the top clinical trial destinations in the world. With benefits like advanced infrastructure and facilities, expert researchers, a streamlined regulatory structure and Westernised patient population, multinational pharmaceutical companies, medical device companies and CROs organising clinical trials in Asia would be well advised to consider Korea. Ames Gross is president and founder of Pacific Bridge Medical, a Bethesda, Md.-based consulting firm that helps medical companies doing business in the Asia market. A recognised national and international leader in the Asian medical markets, he founded Pacific Bridge Medical in 1988, which has helped hundreds of medical companies with business development and regulatory issues in Asia. For more information, visit www.pacificbridgemedical.com. 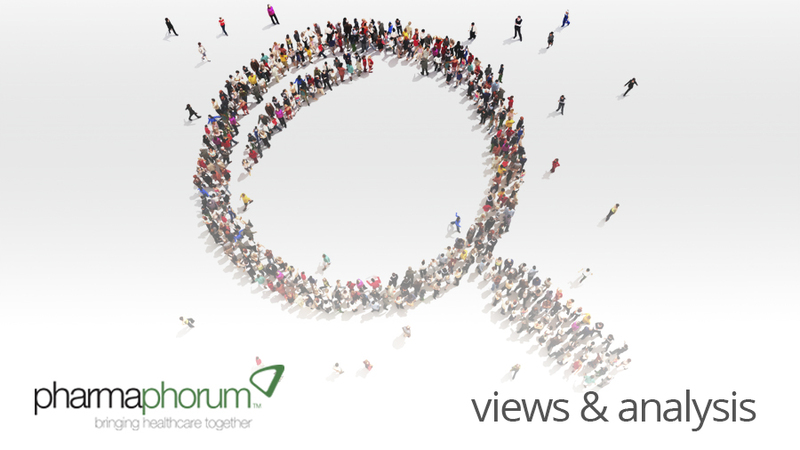 Have your say: Has Korea got its approach right regarding clinical trials?